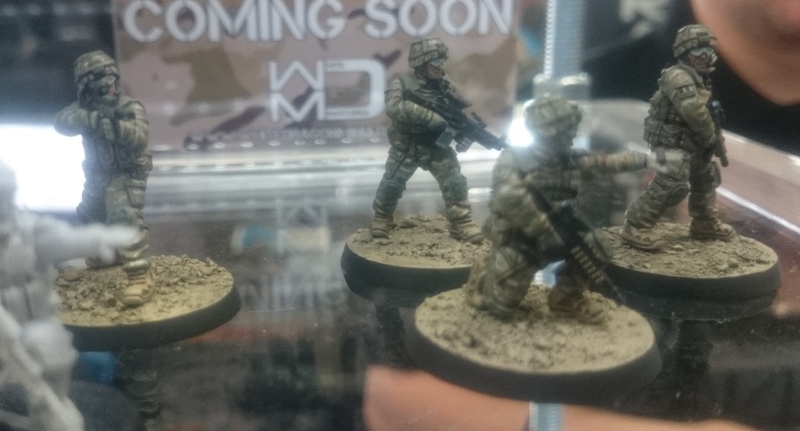 I managed to grab a quick chat with Alan Crooks from White Dragon Miniatures whilst I was at the Derby Worlds show, and he showed me his new range of modern British Infantry that he is due to launch towards the end of this year. The range is called ‘Courage in Contact’, and is the start of a larger range that will include insurgents and other UN forces as the range expands. The British Infantry will have 44 packs, which will include Infantry in several different helment variants, plus poses for skirmishing and patrolling, and other variants with Bergens, berets etc – so this is likely to be a large range. Since Alan is an ex-soldier himself, he wanted to ensure that as well as kit accuracy, the poses of the figures are as realistic as possible. The samples he had on display at Derby looked really good indeed, so I’m looking forward to seeing more of these models.